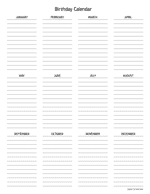 Birthday calendar on an A4 size paper in a vertical, portrait orientation. Never forget one of your friend or familys birthday. 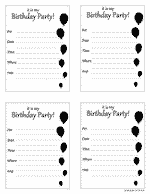 Birthday calendar on a letter size paper in a vertical, portrait orientation. 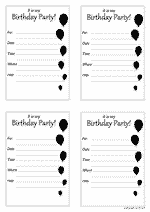 Never forget one of your friend or familys birthday.